Are electronic locks more or less secure than standard locks? The short answer is: They are equally secure. Both types of locks do a good job. However, there are major differences in function. Electronic locks are desirable for many because they are user friendly and offer extra options. ALL safes require servicing. Just like any piece of equipment, they will need regular servicing to extend their lifespan and prevent lockouts. 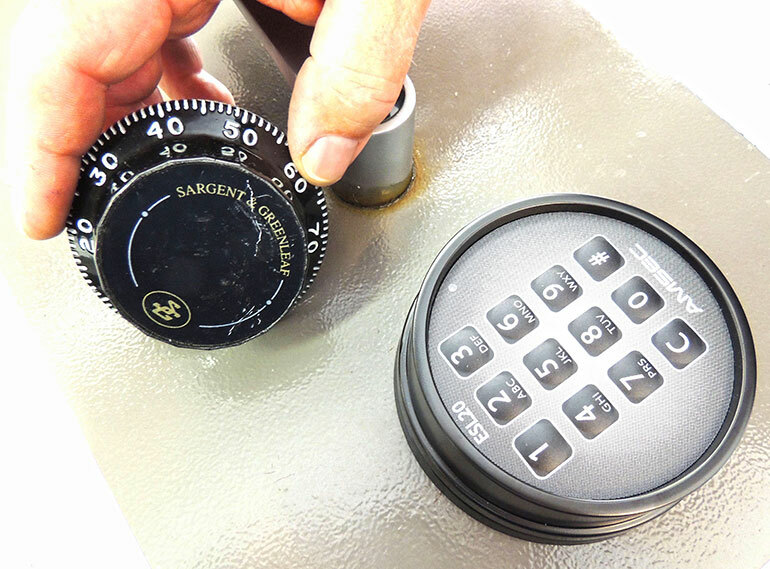 Safe servicing involves taking the lock mechanism apart, an inspection of all components to make sure none are nearing mechanical failure and are properly lubricated. This process helps prevent future problems, such as lockout situations. Your safe should be a one-time investment, not something that you have to replace regularly. How often should I get my safe serviced? It all depends on how the safe is used and the environment it sits in. Is it in a restaurant – used constantly and exposed to elements like water and oil? We suggest every six months to keep it working properly. Is it an office safe – used regularly but in a dry environment? We suggest once every year. A home safe, used infrequently and in a dry environment? Every three to five years is suggested.